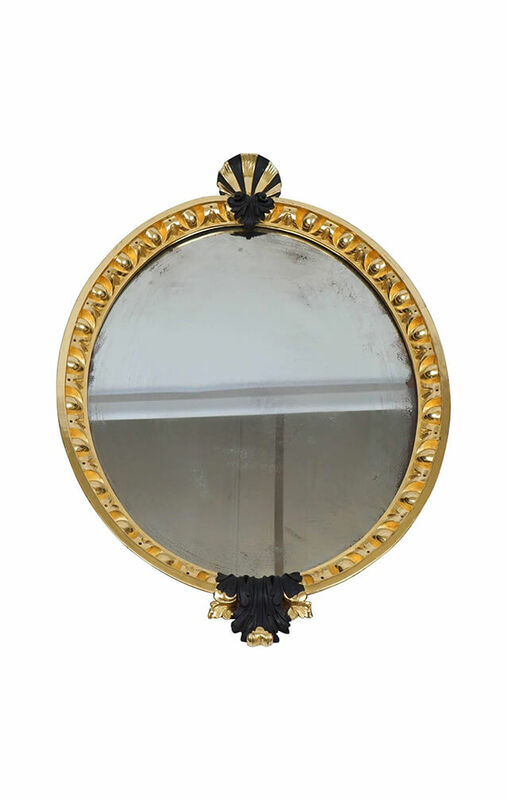 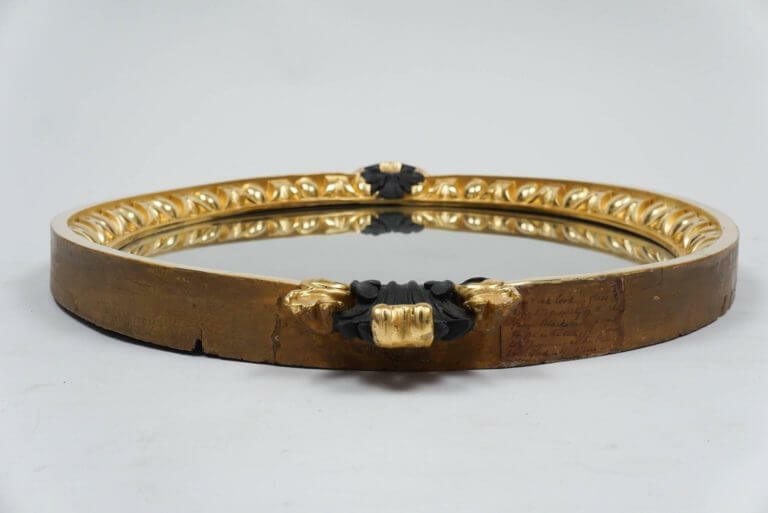 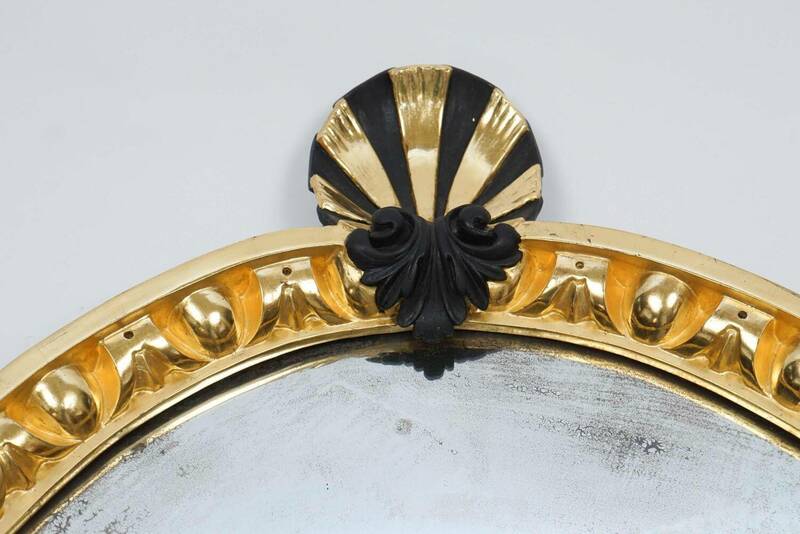 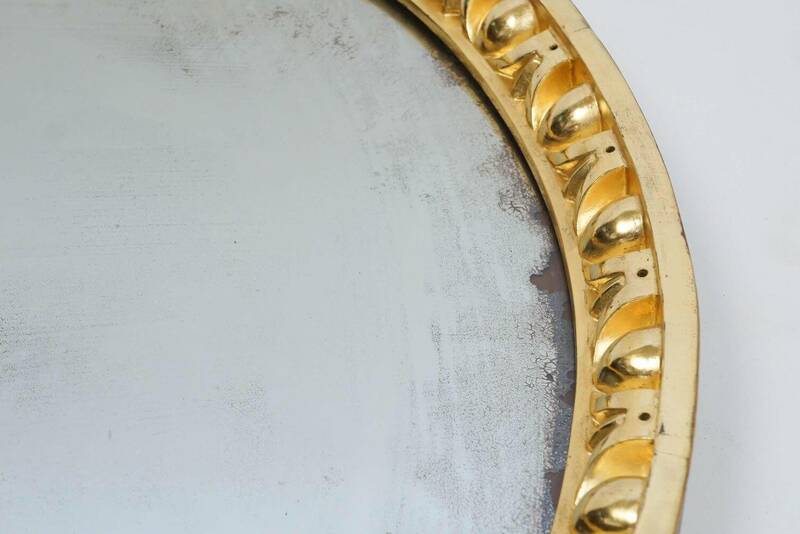 Exceptional c. 1740 George II period gilt wood looking glass or mirror of oval form having dynamic carved 'egg-and-dart' frame with gilt and ebonized shell and acanthus ornament at top and overflowing bi-color acanthus foliate motif at bottom. 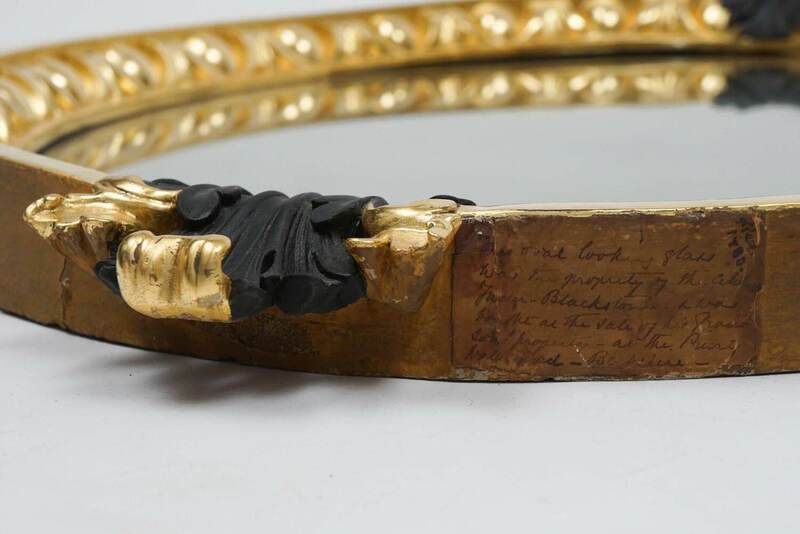 An unobtrusive old paper label on the bottom side of frame gives provenance of the original 18th century owner and his estate in Berkshire, England. 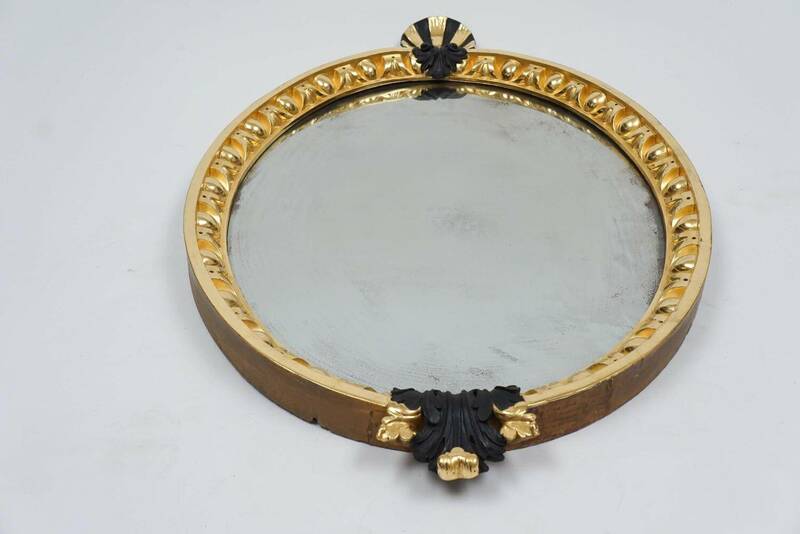 Remarkable piece of fine quality and elegant design after a design by William Kent. 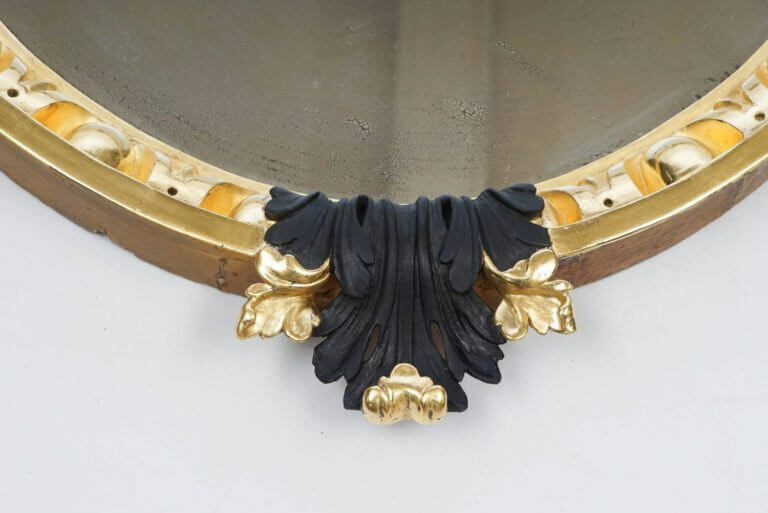 Exceptional c. 1740 George II period gilt wood looking glass or mirror of oval form having dynamic carved ‘egg-and-dart’ frame with gilt and ebonized shell and acanthus ornament at top and overflowing bi-color acanthus foliate motif at bottom. 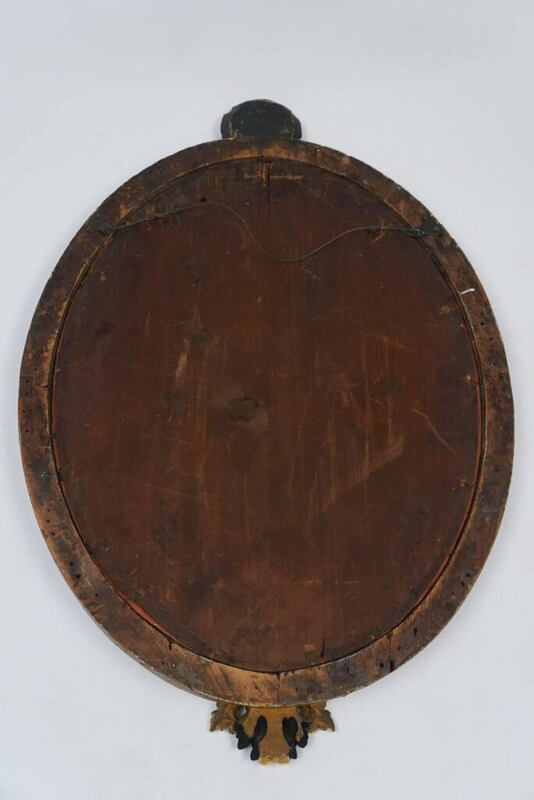 An unobtrusive old paper label on the bottom side of frame gives provenance of the original 18th century owner and his estate in Berkshire, England. 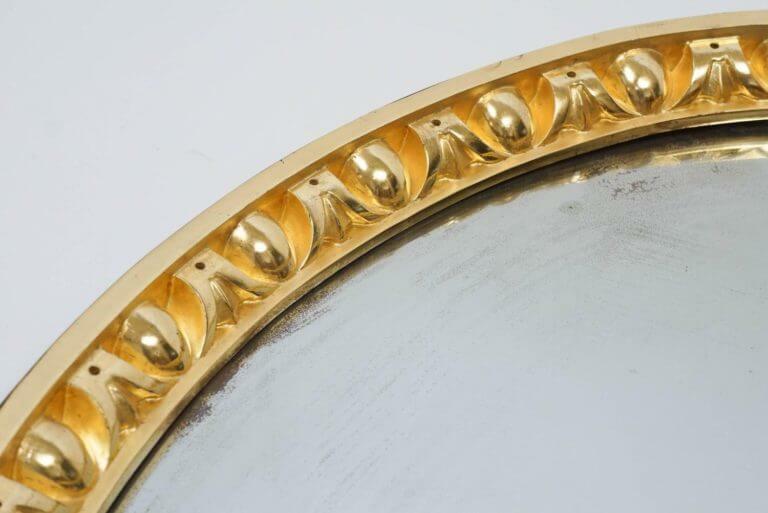 Remarkable piece of fine quality and elegant design after a design by William Kent.